Draft: 2011, Boston Red Sox, 4th rd. Noé Ramirez...On Twitter: @NOERAMIREZ24.. First name is pronounced "no-EH."... Has helped run a baseball clinic for Ramona Gardens Boys and Girls Club the past two offseasons... Honored with a resolution from Los Angeles City Council Oct. 23, 2018 for his accomplishments on and off the field... Assists at Angels RBI League youth camps throughout baseball season...Also visited patients at Children's Hospital of Orange County with Angels teammates during the season... Switched uniform number with Angels from #65 to #25 following 2017 season and changed it to #24 following 2018 season... Attended Alhambra HS (Alhambra, CA) and Cal State University Fullerton...Following junior season at Fullerton, earned second team All-American honors from Collegiate Baseball and named All-Big West Conference first team... Played for USA Baseball's Collegiate National Team in 2010, earning silver medal at V FISU World University Baseball Championships in Japan... Entered 2012 season rated by Baseball America as having best change-up in Red Sox organization... Played in Arizona Fall League in 2013... While in the Boston organization regularly volunteered in the community with hospital visits and meet & greets, and participated in the Red Sox Holiday Caravan... Originally signed by Red Sox scout Jim Woodward. Made an Opening Day roster for second time in career and first as a member of Angels...One of four players to remain on Angels active roster for entire season (also, José Álvarez, Cam Bedrosian and Blake Parker)... Set career highs in nearly every major pitching category, including games, wins, innings pitched and strikeouts...Seven wins were most by an Angels reliever since Joe Smith (7) in 2014... Among A.L. rookies, ranked tied for second in games, sixth in strikeouts and tied for sixth in wins... Also ranked tied for sixth among all A.L. relievers in wins...Stranded 25 of 34 inherited runners for season, including all nine of his final inherited runners during months of Aug. and Sept...Earned first Major League win April 4 vs. Cleveland... Recorded first career save Aug. 27 vs. Colorado and made first start of Major League career following day vs. Rockies... Became first player in Angels history to record a save one night and make a start the next day. Opened season with Red Sox but was optioned to Triple-A Pawtucket after one appearance for Boston (1.2 scoreless innings Apr. 8 at Detroit) ... Spent majority of season with PawSox...During 19 game stretch from May 26 - July 30, went 3-1 with two saves, a 2.61 ERA (31 IP - 9 ER) and 40 strikeouts ... Acquired by Angels as a waiver claim Aug. 18 ... Pitched in four games (4.1 scoreless innings) for Triple-A Salt Lake before being promoted to Angels Sept. 1 ... Stranded 10 of 12 inherited runners for Halos and did not allow a run in eight of 10 contests. Made his 1st career Opening Day roster with BOS...Appeared in 14 games over 8 ML stints, but spent a majority of the season with Triple-A Pawtucket (30 games). Stranded 8 of 12 inherited runners (67%) and retired 9 of 14 first batters faced (64%) with BOS...Held opponents to a .235 AVG (4-for-17) with RISP. Appeared in 9 of Boston's first 17 games of the season, allowing 6 ER in 9.1 IP over that span. Threw 2.0 scoreless innings with a career-high 4 SO in the Sox' win on 4/8 at TOR. Averaged a career-best 11.1 SO/9.0 IP (54 SO/43.2 IP) for Pawtucket...Allowed 0 runs in 23 of his 30 appearances (77%)...Threw more than 1.0 inning in 15 of his 30 outings. Posted a 1.18 ERA (5 ER/38.0 IP) over his final 27 appearances for Pawtucket after allowing 6 runs (4 ER) in 5.2 IP over his first 3 games...Had a 14.0-inning scoreless streak that spanned 11 appearances from 5/10-6/28 (10 SO, 0 BB). Held opponents to a .184 AVG (7-for-38) with RISP for the PawSox, including a .105 AVG (2-for-19) with 2 outs. Fanned 27 batters in 14.1 IP over a span of 8 appearances from 6/30-8/3...Struck out 6 consecutive batters faced in 2.1 innings of work on 7/23 at Columbus (faced 8 batters total). Spent the entire season with Double-A Portland...Named an Eastern League mid-season All-Star. Converted 18 saves in 21 chances...His 18 saves led Red Sox farmhands and ranked T-3rd in the Eastern League...Recorded 7 saves of at least 2.0 IP. Led EL relievers in fewest base runners per 9.0 IP (10.0)...Also had the 3rd-best opponent AVG (.230) and 4th-lowest rate of unintentional walks allowed per 9.0 IP (2.0) in the league. Led the Sea Dogs in appearances (42) and games finished (31) and topped club relievers in WHIP (1.07). Did not allow a HR all season...His 67.1 IP were the most without a HR among all minor leaguers above Single-A. Made 30 scoreless appearances...Allowed only 3 of 15 inherited runners to score. Produced a 0.59 ERA (2 ER/30.1 IP) and .175 opponent AVG (18-for-103) during a span of 18 outings from 4/29-7/6, including a 14.1-IP scoreless streak over the first 8 games through 5/29. Allowed 0 ER during a span of 14.0 IP from 6/7-7/11 (9 G)...Recorded a save in each of his final 5 appearances from 8/19-31. Pitched in 1 playoff game for the Sea Dogs and took the loss despite allowing 0 ER in 1.1 IP (3 total runs). 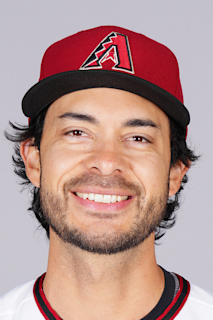 Averaged 8.9 strikeouts per 9.0 innings (75 SO) while issuing just 17 walks...Went at least 1.0 inning in 35 of his 36 appearances on the year…Went at least 2.0 innings 27 times and 3.0+ IP on 8 occasions...Recorded 6 saves in 9 chances in 1st pro season out of the bullpen...Held opponents to a .236 AVG (63-for-267), including a .217 AVG/.271 OBP/.283 SLG line against right-handed hitters…Allowed just 8 extra-base hits (6 2B, 3B, HR) in 166 at-bats vs. RHB...With runners on base, allowed just a .206 clip (26-for-126)...Earned both wins with Salem in back-to-back appearances on 5/31 vs. Myrtle Beach (1 R/2.0 IP) and 6/3 vs. Winston-Salem (0 R/2.2 IP). Notched 1st career save with a perfect inning in the 2nd game of a doubleheader on 6/16 vs. Lynchburg...Did not allow a run in his last 5 outings (9.2 IP) with Salem before a promotion to Portland on 6/29...At the time of his promotion, had the 3rd-best ERA (2.11) and WHIP (1.06) among Carolina League pitchers with at least 40.0 innings...Struck out 31 batters in 28.2 innings with the Sea Dogs...His 0.97 WHIP for Portland ranked 5th in the Eastern League among pitchers with at least 25.0 IP from 7/1 through the end of the season...Earned 5 saves and 1 win in 6 save changes with the Sea Dogs, all in his last 10 appearances beginning 7/24...Named Red Sox Minor League Relief Pitcher of the Month for July, his 1st full month at Double-A…Collected 2 saves with a 1.84 ERA (3 ER/14.2 IP) and 15 strikeouts in 6 outings during the month...Following the season, made 10 appearances for Surprise of the Arizona Fall League, helping the Saguaros to the AFL championship…Went 1-0 with 2 saves and ranked 8th in the AFL with a 1.93 ERA (3 ER/14.0 IP)…Struck out 11 batters and had the league's 4th-best WHIP (0.86). Struck out 8.72 batters per 9.0 innings (82 SO/84.2 IP)...Held left-handed batters to a .216 AVG (25-for-116)...Tossed 5.0 perfect innings with 5 strikeouts in his pro debut on 6/10 at Hickory...Fanned a season-high 9 batters on 7/29 at Greensboro...Entered the season rated by Baseball America as having the best changeup in the Red Sox system. 1 de septiembre de 2017 Los Angeles Angels llamado RHP Noe Ramirez de Salt Lake Bees. 18 de agosto de 2017 Los Angeles Angels reclamado RHP Noe Ramirez fuera de waivers de Boston Red Sox. 18 de agosto de 2017 Los Angeles Angels opcionado RHP Noe Ramirez para Salt Lake Bees. 17 de agosto de 2017 Boston Red Sox designado RHP Noe Ramirez para la asignaci&oacute;n.
21 de mayo de 2017 Boston Red Sox opcionado RHP Noe Ramirez para Pawtucket Red Sox. 19 de mayo de 2017 Boston Red Sox llamado Noe Ramirez de Pawtucket Red Sox. 9 de abril de 2017 Boston Red Sox opcionado RHP Noe Ramirez para Pawtucket Red Sox. 6 de abril de 2017 Boston Red Sox llamado Noe Ramirez de Pawtucket Red Sox. 26 de marzo de 2017 Boston Red Sox opcionado RHP Noe Ramirez para Pawtucket Red Sox. 12 de octubre de 2016 Noe Ramirez estado en la lista cambian a por Boston Red Sox. 6 de octubre de 2016 Boston Red Sox reasignado RHP Noe Ramirez a las ligas menores. 5 de septiembre de 2016 Boston Red Sox llamado RHP Noe Ramirez de Pawtucket Red Sox. 22 de julio de 2016 Boston Red Sox opcionado RHP Noe Ramirez para Pawtucket Red Sox. 20 de julio de 2016 Boston Red Sox llamado Noe Ramirez de Pawtucket Red Sox. 11 de julio de 2016 Boston Red Sox opcionado RHP Noe Ramirez para Pawtucket Red Sox. 9 de julio de 2016 Boston Red Sox llamado Noe Ramirez de Pawtucket Red Sox. 5 de junio de 2016 Boston Red Sox opcionado RHP Noe Ramirez para Pawtucket Red Sox. 2 de junio de 2016 Boston Red Sox llamado Noe Ramirez de Pawtucket Red Sox. 21 de mayo de 2016 Boston Red Sox opcionado RHP Noe Ramirez para Pawtucket Red Sox. 20 de mayo de 2016 Boston Red Sox llamado Noe Ramirez de Pawtucket Red Sox. 19 de mayo de 2016 Boston Red Sox opcionado RHP Noe Ramirez para Pawtucket Red Sox. 18 de mayo de 2016 Boston Red Sox llamado Noe Ramirez de Pawtucket Red Sox. 24 de abril de 2016 Boston Red Sox opcionado RHP Noe Ramirez para Pawtucket Red Sox. 20 de abril de 2016 Boston Red Sox llamado Noe Ramirez de Pawtucket Red Sox. 19 de abril de 2016 Boston Red Sox opcionado RHP Noe Ramirez para Pawtucket Red Sox. 1 de septiembre de 2015 Boston Red Sox llamado Noe Ramirez de Pawtucket Red Sox. 26 de julio de 2015 Boston Red Sox opcionado RHP Noe Ramirez para Pawtucket Red Sox. 18 de julio de 2015 Boston Red Sox llamado Noe Ramirez de Pawtucket Red Sox. 4 de julio de 2015 Boston Red Sox opcionado RHP Noe Ramirez para Pawtucket Red Sox. 3 de julio de 2015 Boston Red Sox seleccionado el contrato de Noe Ramirez de Pawtucket Red Sox. 29 de mayo de 2015 Pawtucket Red Sox activan a RHP Noe Ramirez de la 7-d&iacute;a lista de deshabilitado. 11 de mayo de 2015 Pawtucket Red Sox ponen a RHP Noe Ramirez on the 7-d&iacute;a lista de deshabilitado. 5 de mayo de 2015 Pawtucket Red Sox activan a RHP Noe Ramirez de la 7-d&iacute;a lista de deshabilitado. 29 de abril de 2015 Pawtucket Red Sox ponen a RHP Noe Ramirez en la 7-d&iacute;a lista de deshabilitado retroactivo al April 27, 2015. 16 de febrero de 2015 Boston Red Sox invitado fuera del roster RHP Noe Ramirez para spring training. 5 de septiembre de 2014 RHP Noe Ramirez asignado a Pawtucket Red Sox de Portland Sea Dogs. 10 de febrero de 2014 Boston Red Sox invitado fuera del roster RHP Noe Ramirez para spring training. 29 de junio de 2013 RHP Noe Ramirez asignado a Portland Sea Dogs de Salem Red Sox. 25 de junio de 2013 RHP Noe Ramirez asignado a Portland Sea Dogs. 2 de abril de 2013 Noe Ramirez asignado a Salem Red Sox de Greenville Drive. 24 de marzo de 2013 RHP Noe Ramirez asignado a Boston Red Sox. 10 de junio de 2012 Noe Ramirez asignado a Greenville Drive de Lowell Spinners. 29 de septiembre de 2011 Noe Ramirez estado en la lista cambian a por Lowell Spinners. 18 de agosto de 2011 RHP Noe Ramirez asignado a Lowell Spinners de Boston Red Sox. 15 de agosto de 2011 Boston Red Sox firmado RHP Noe Ramirez.